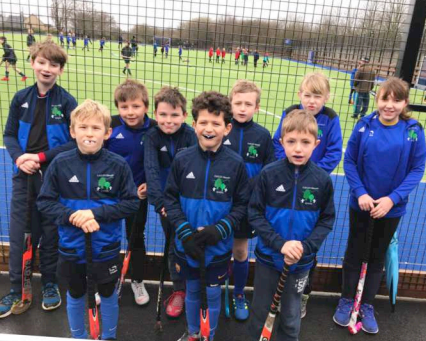 Hockey Children from Years 4 – 6 went along to a Hockey event being run at Wells Cathedral School by staff from the school and SASP. The event had two parts to it, with children from Catcott Primary School participating in both halves. The first part involved children ‘training’ in various hockey skills – the children completed a carousel of activities aimed at enhancing the individual skills required for great hockey playing. The other group of children (pictured here) took part in an inter-schools hockey tournament, playing 5 other schools in a round robin competition. The children did very well in extremely wet conditions! They did not win, but their heads were never bowed.